NeuroAIDS affects half of the 22 million people currently living with HIV/AIDS in sub-Saharan Africa, where cryptococcal meningitis alone is responsible for 504,000 deaths annually. A good understanding of NeuroAIDS may help improve disease-free survival in patients at risk and optimize resource utilization by caregivers. 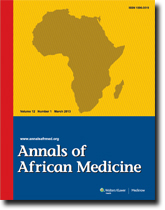 In this review, we aimed to provide a summary of major NeuroAIDS syndromes of relevance in Africa. We searched Medline for English language literature to identify relevant publications, using the search terms "NeuroAIDS" and "HIV AND nervous system." The most common NeuroAIDS syndrome is HIV-associated neurocognitive disorders (HAND), which affects over 1.5 million Africans yearly. While incidence of HAND has decreased with the use of highly active antiretroviral therapy, prevalence has increased due to longer life expectancy. Other NeuroAIDS syndromes include tuberculous meningitis and intracerebral tuberculoma, cryptococcal meningitis, toxoplasma encephalitis, progressive multifocal leukoencephalopathy, primary central nervous system lymphoma, stroke, and distal sensory polyneuropathy. NeuroAIDS care and research in Africa are hindered by resource limitations. Inadequate neuroimaging and laboratory facilities result in diagnostic delays and confusion, while limited access to drugs leads to inappropriate treatment. However, the situation may be improving. Better funding of HIV care by African governments and donor agencies have resulted in decreasing HIV prevalence and prolonged survival. Yet, central nervous system opportunistic infections remain important causes of death and disability among African patients with HIV/AIDS. There is the need for additional funding to improve access to antibiotics and to facilitate further research into NeuroAIDS and its treatment. Background/Objective: To review cleft lip and palate procedures over a three-year (2008-2010) partnership between the smile train and our organization, the Grasssroot Smile Initiative (GSI). Method: A three-year retrospective study (2008-2010) involving 79 adult patients with clefts. Results: Seventy nine (14.4%) of 550 patients with orofacial clefts seen and treated within a three-year period were adults with age range of 17 to 81 years; mean 31.45 ± 13.09. Majority were between 20 and 39 years. There were 54 (68.4%) males and 25 (31.6%) females, with the male:female ratio of 2.2:1. Analysis of the cleft types/site revealed 35 (44.3%) lip alone, 22 (27.8%) lip and alveolus, 7 (8.9%) lip and palate and 15 (19%) palate alone. Seven (8.9%) of these patients had other relatives with clefts. Sources of information were friends and relatives; 33 (41.8%), radio; 18 (22.8%), charity organization/NGO; 13 (16.5%), hospitals/physicians; 5 (6.3%), and others; 10 (12.7%). 57 patients with lip clefts had surgery under local anesthesia while the remaining 22 patients were done under general anesthesia. All clefts of the lip were repaired using the Millard advancement rotational flap for complete cleft, simple straight line closure for incomplete and double layer closure for the palate. Conclusion: The incidence of adult patients with orofacial cleft is not rare in our community, probably due to limited access to specialized health care facilities, poverty and ignorance. 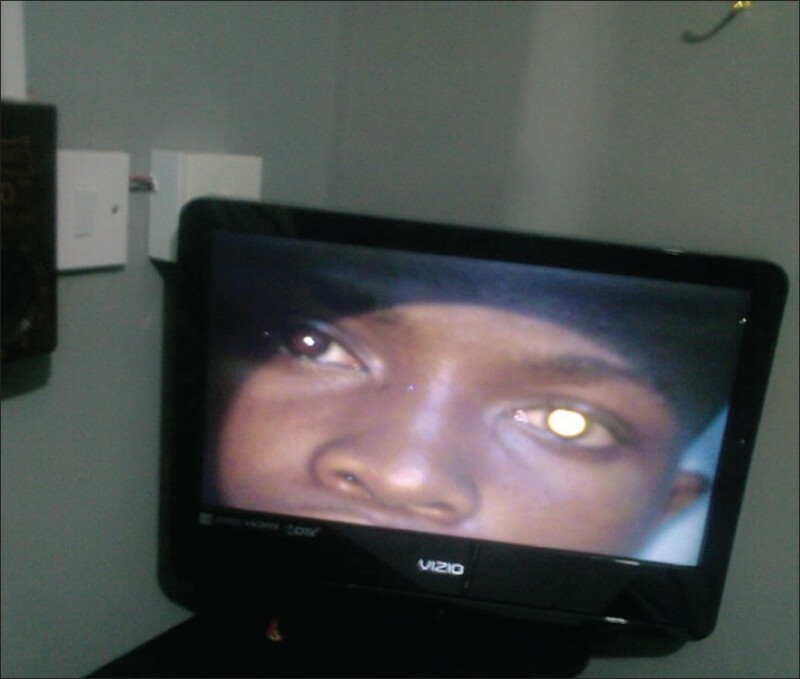 Furthermore, some of these patients are not aware that these facial defects can be repaired. The advent of the smile train organization and free services has resulted in this harvesting phenomenon. Background: Dyslipidemia is a significant risk factor for premature cardiovascular disease. People infected with human immunodeficiency virus (HIV) have been shown to develop alterations in body composition, lipid and glucose metabolism, which predisposes them to cardiovascular disease. Human immunodeficiency virus (HIV) infection and its therapies may contribute to these changes. These metabolic changes in addition to the other traditional risk factors may contribute to the excess cardiovascular disease (CVD) morbidity and mortality observed in HIV-infected individuals. We, therefore set out to describe the prevalence of dyslipidemia among HIV infected Nigerians. Materials and Methods : This is a cross sectional study, was conducted in HIV specialty clinic of Aminu Kano Teaching Hospital (AKTH) between May and August 2009. HIV infected patients were recruited. Half of them were on HAART for 6 months and above while the other half were HAART naïve. Patients who satisfied inclusion criteria were recruited consecutively until the required sample size was obtained. Data were collected using the pre-tested interviewer administered questionnaire. Socio-demographic information, anthropometric measurements and blood pressure were obtained from the subjects in a standardized manner. Venous samples were collected for necessary investigations and analyzed at the hospital central laboratory. Results: Two hundred subjects were studied, the mean age for all the participants was 32.5 ± 7.55 years. The age ranged from 20 to 50 years, 64% of the respondents (128) were aged between 20 and 34 years. Forty three (21.5%) of them were above the age of 40 years. Fifty percent were on HAART and the other 50% were HAART naïve. The duration of HAART treatment ranged from 6-84 months. The mean CD4 cell counts was higher for subjects on HAART compared to HAART naive 376.33±215.66 and 261.09 ±195.64, respectively (P < 0.001). 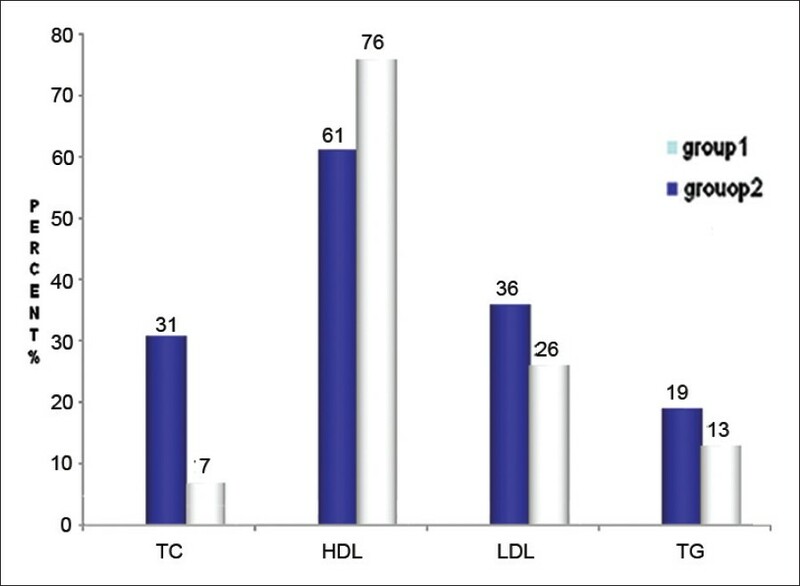 High TC (31% vs. 7%, P ≤ 0.001), low HDL-C (61% vs. 76%, P = 0.022), high LDL (36% vs. 26%, P = 0.126), high TG (19% vs. 13%, P = 0.247). Conclusion: HIV infected patients on HAART demonstrated higher prevalence of high TC while HAART naïve subject showed higher prevalence of low HDL. Background: Maternal malnutrition can lead to low birth weight in babies, which puts them at risk of developing non-communicable diseases later in life. Evidence from developed countries has shown that low birth weight is associated with a predisposition to higher rates of non-communicable diseases later in life. However, information on this is lacking in developing countries. Thus, this work studied the effects of maternal nutritional indicators (hemoglobin and total protein) on birth weight outcome of babies to forecast a paradigm shift toward increased levels of non-communicable diseases in children. Materials and Methods: Mother-baby pairs were enrolled in this study using systematic random sampling. Maternal haemogblobin and total proteins were measured using micro-hematocrit and biuret methods, and birth weights of their babies were estimated using the bassinet weighing scale. Results: Of the 168 (100%) babies that participated in this study, 122 (72.6%) were delivered at term and 142 (84.5%) had normal birth weights. Mean comparison of baby's birth weight and maternal hemoglobin was not significant ( P = 0.483), that for maternal total protein was also not significant ( P = 0.411). Even though positive correlation coefficients were observed between birth weight of babies, maternal hemoglobin and total proteins, these were however not significant. Conclusion: Maternal nutrition did not contribute significantly to low birth weight in our babies. Therefore, association between maternal nutrition and low birth weight to predict future development of non-communicable diseases in our study group is highly unlikely. However, we recommend further work. Background/Objective: Road traffic injuries have persisted as a serious public health problem and much of the health burden is in developing countries. Over-speeding, poor enforcement of traffic regulations and commuter buses have been highly implicated in road traffic injuries in developing countries. The aim of this study was to determine drivers' knowledge of selected road safety measures, i.e. the pre-requisites for driver's license, road signs and speed limits. Materials and Methods: This was a cross-sectional study carried out in Lagos, Nigeria. Simple random sampling was used to select the two motor parks used for the study and all the consenting commercial minibus drivers operating within the parks (407) were included in the study. Data was collected with a pre-tested, structured, interviewer-administered questionnaire and analyzed with epi-info statistical software. Results: Two hundred and sixty-one (64.1%) of them knew that Visual Acuity test should be done before obtaining driver's license and 53.8% knew the correct minimum age for obtaining driver's license. Only 1% of the drivers had correct knowledge of the driver's license authorities in Nigeria. The drivers had poor knowledge of road signs (59.0%) and poor knowledge of maximum speed limits (100%). The oldest, least educated and least experienced drivers had the poorest level of knowledge. Conclusion: The drivers demonstrated poor knowledge of road safety measures. There is need for driver education to improve their knowledge. Urinary catheterization is often performed in the pediatric age group. The procedure although safe, is not free of complications. Knotting of the urinary catheter is a rare but serious complication. A seven-year-old boy presented with left-sided neuroblastoma and underwent an exploratory laparotomy during which it was found that he had an inoperable tumor. There was a nodule obstructing the left ureter. This was resected and an end-to-end anastomosis of the ureter was carried out. A size 8 French (Fr) feeding tube was introduced through the urethra to monitor the patient's urine output and fluid balance in the absence of a self-retaining pediatric catheter. An attempt at removal 48 h later was unsuccessful. The patient was afterwards, on the sixth postoperative day, anaesthetized and the tube was pulled out. It was noticed that the catheter was knotted. 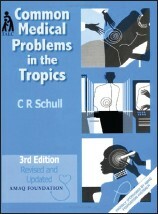 The case is reported with a limited discussion of relevant literature. Spontaneous knotting of a catheter is a rare complication. With availability of appropriate catheters and adequate knowledge and skill, this complication can be reduced to the barest minimum. We report a case of combined intrauterine and tubal pregnancy in a 35-year-old para 4+2, 4 alive. The patient presented at our gynecological emergency unit with three weeks' history of lower abdominal pain. Her last childbirth was 2 years and her last menstrual period 12 weeks prior to presentation. A pelvic scan revealed an intrauterine gestation co-existing with an ectopic pregnancy. She had an emergency laparotomy with right salpingectomy. The post-operative period was unremarkable. The intrauterine pregnancy was supervised and she carried it to term and eventually had an uneventful vaginal delivery of a live male infant. Neuropsychiatric manifestations sometimes referred to as behavioral and psychological symptoms (BPSD) are not uncommon in dementias, especially in moderate-to-severe cases. When these symptoms occur in the setting of Parkinsonism, fluctuating cognition, visual hallucinations and neuroleptic sensitivity, then the most likely diagnosis is dementia with Lewy bodies (DLB). Although this type of dementia is not infrequently encountered in primary care, it may be missed because of its tricky modes of presentation. We report a clinically diagnosed DLB in a 67-year-old Nigerian female to raise awareness among primary care and mental health practitioners in order to enhance better detection and treatment, especially in the setting of a developing economy. Clefts of the lip and palate are the most common serious congenital anomalies in orofacial region. However, the occurrence of associated defects in the limbs is quite rare. This report presents a 12-week-old male child born with unilateral left cleft lip and palate, absence of the upper left arm and forearm, and fusion of both big and middle toes and absence of the entire small toe on the left foot. 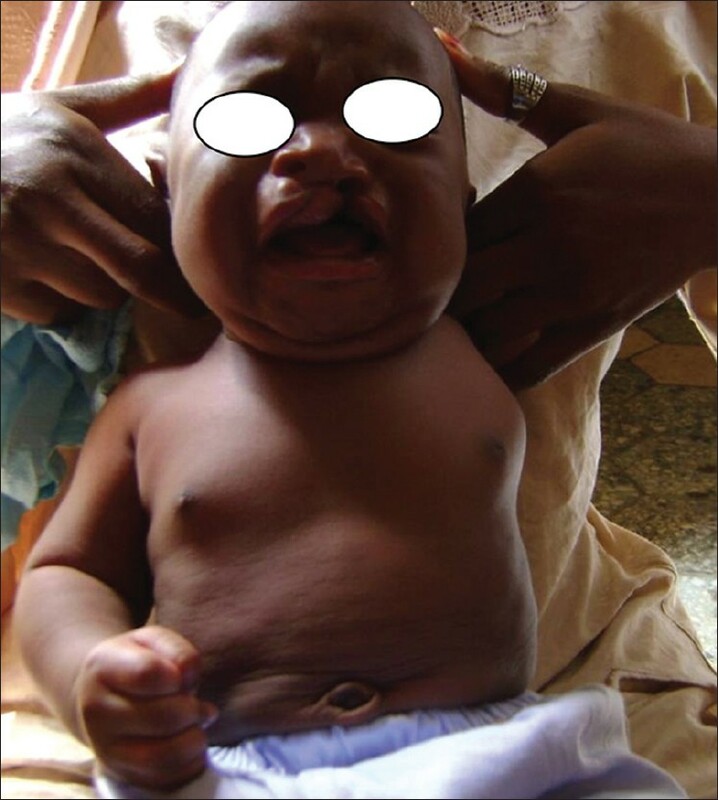 The repairs of lip and palate defects were done at 6 and 19 months of age while parents were referred for rehabilitation to ameliorate absence of upper left arm. We discuss the challenges of management of defects in a developing economy, issues of acceptance of children born with defects amenable to surgery and the benefit of parental education on the care of the child.